We're pleased to announce that we are now enabling importing on MongoDB on Compose. Although MongoDB/Classic has had import options for some time, the newer SSL-enabled, WiredTiger supporting MongoDB on Compose has, up until now, not had any import options. 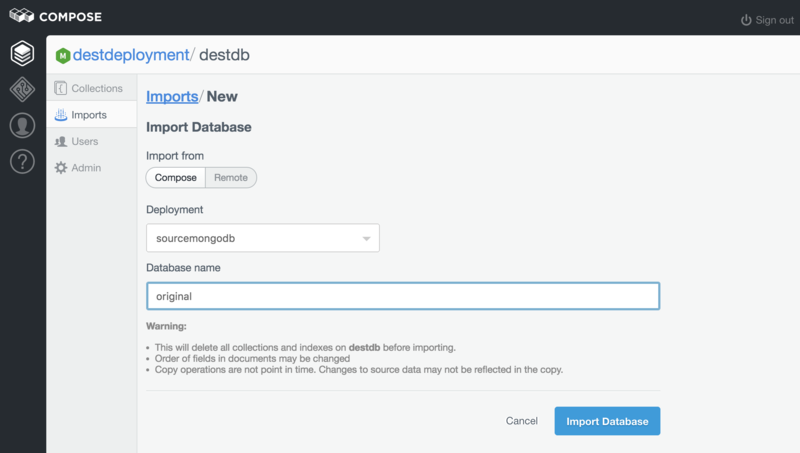 After designing and engineering a reliable platform for running processes like imports, we can now offer MongoDB users the ability to import data from MongoDB Classic databases and the now unavailable Compose MongoDB sandboxes. This means if you want to move to the latest Compose MongoDB, it's all become a lot easier. The enhancements have also improved the experience for existing import support. The database import options do just what they imply, import an entire database. That means all collections and recreating the indexes that were present in the source database. If we'd previously imported into this database, we'd see the past imports listed here, but this is a fresh database so our next stop is to click on the New Import button in the top right which takes us to the Imports/New page. The first option is to select whether you are importing from within Compose or from a remotely accessible MongoDB. If the Remote option is selected, you can enter a MongoDB URI (with username, password, host, port and database name) to import from an internet accessible MongoDB. 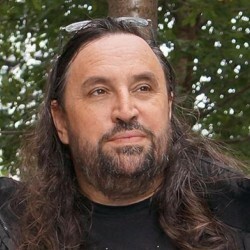 We're importing within Compose, where things are simpler. The Deployment menu button will list all the deployments which are available for import, and which ones aren't. We'll select our source deployment in this menu sourcemongodb. Then we enter the database name in the following field. Once that's done click Import Database and you will return to the Imports view. 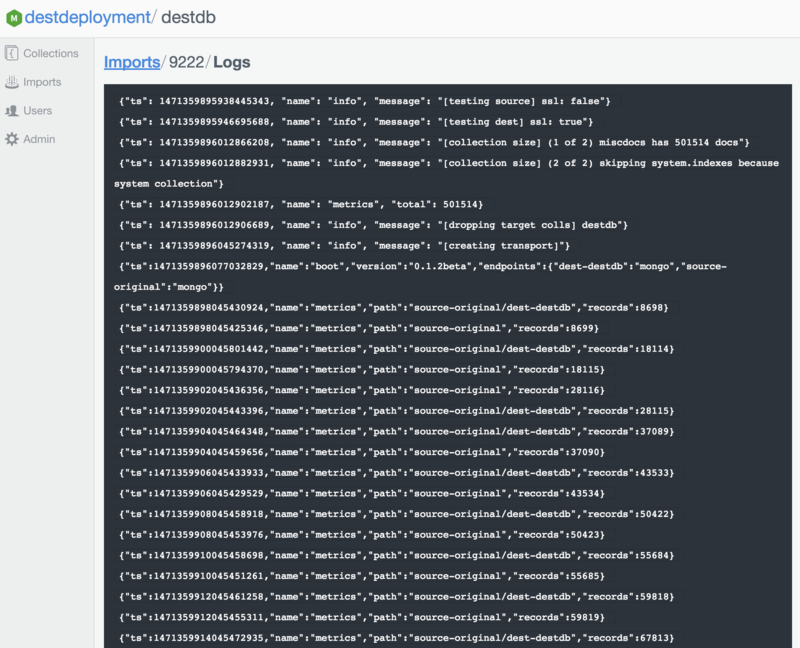 This is a textual record of log messages from the import process. Transient errors may be reported in this log so if the data being transferred is critical, this is our first step to validate it. Now you can see how you can mobilize your data around the Compose platform without leaving the Compose console. Go forth and import!